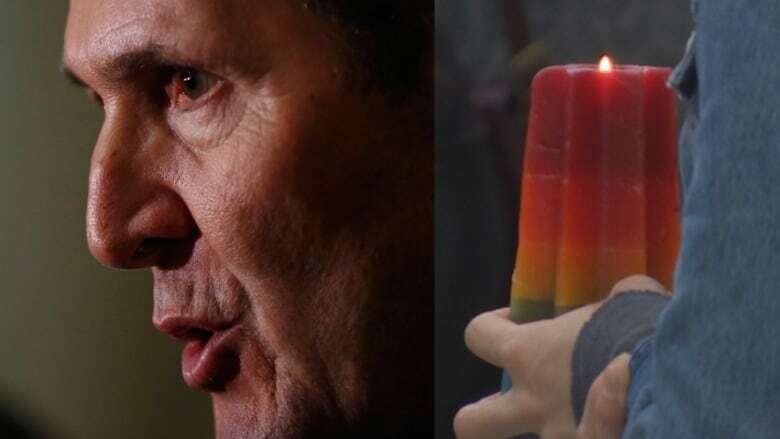 Manitoba Premier Brian Pallister spoke from the steps of the Manitoba Legislature during the Winnipeg Pride Parade, but he was unavailable to attend a vigil for the people gunned down over the weekend in a Florida gay nightclub, his office said. Manitoba Premier Brian Pallister wasn't at a vigil at the Manitoba Legislature on Monday for the people gunned down over the weekend in a Florida gay nightclub. Brian Pallister's office said the premier was "unavailable" to attend a vigil Monday night at the legislature for the 49 victims of a mass shooting in Orlando Sunday morning. Rochelle Squires, minister of sport and culture, attended in his place. Pallister​ did speak from the steps of the Manitoba Legislature during the Winnipeg Pride Parade. Omar Mateen killed 49 people and injured more than 50 in the shooting at Pulse nightclub. He was killed by police as they raided the building. On Monday morning, U.S. President Barack Obama said the massacre appears to be an example of "homegrown extremism." In a statement on Monday, interim NDP Leader Flor Marcelino said her heart goes out to the families and friends who lost loved ones in Orlando. "This was an act of homophobic violence against the LGBTTQ* community — not only in Orlando, but for communities and individuals around the world," she said. "Here in Manitoba, we worry about our LGBTTQ* youth, who are now witnessing an event of this magnitude for the first time. There must be many who are feeling vulnerable and terrified." Marcelino added that she was disappointed when she heard Pallister wouldn't be at the vigil. The premier's office has not explained why he was unable to attend. "We understand that the premier has a very busy job that calls him away from the legislature on occasion. We are concerned, however, to hear that his office may not be informing Manitobans about his whereabouts," Marcelino said in a statement. "If this is the case, we urge Mr. Pallister to be accountable to Manitobans, especially when he is away from events that are important to the community." A vigil was held Sunday at the Rainbow Resource Centre on Scott Street Sunday night. 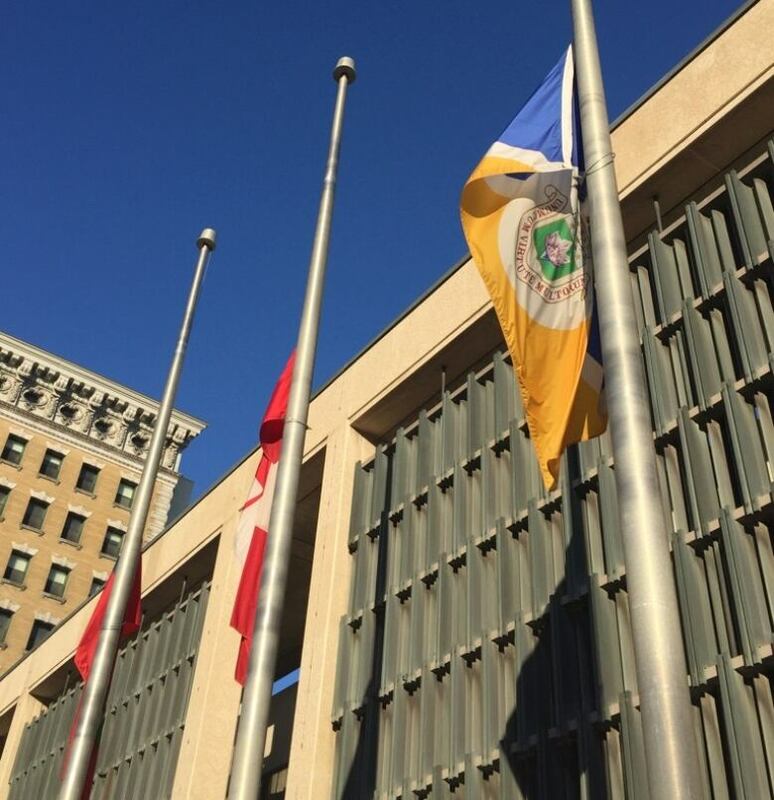 The second Winnipeg vigil took place at 8:30 p.m. Monday outside the Manitoba Legislature. ISIS quick to claim responsibility for Orlando shooting, but is it bluffing?